The Professional Regulation Commission (PRC) announces that 1,784 out of 4,467 (39.94%) passed the Electronics Engineer (ECE) board exam and 2,984 out of 3,518 (84.82%) passed the Electronics Technician (ECT) board exam given by the Board of Electronics Engineering in the cities of Manila, Baguio, Cebu, Davao and Lucena this October 2015. 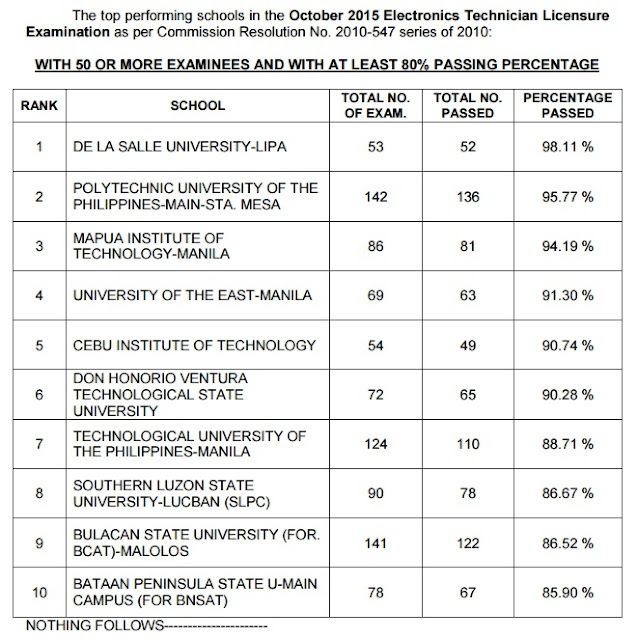 PRC named University of the Philippines (UP) - Diliman as the only top performing school in the October 2015 Electronics Engineer Licensure Examination as per Commission Resolution No. 2010-547 series of 2010. UPD got 40 out of 46 or 86.96 passing percentage. 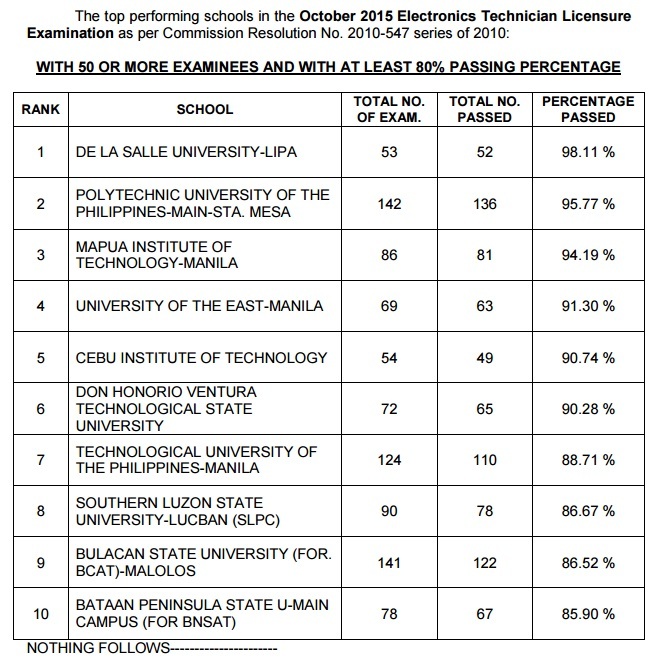 For the ECT board exam, De La Salle University - Lipa topped the schools with 98.11 passing rate or 52 out of 53 passed the test. Polytechnic University of the Philippines (PUP) Sta. Mesa, Mapua Institute of Technology (MIT), Southern Luzon State University (SLSU) are among the top performing shools.